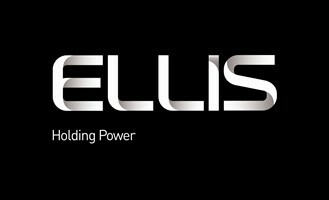 Ellis Patents Emperor cable cleats are available for single core, trefoil and multi-core cable cleat applications where the highest levels of short circuit withstand are required. 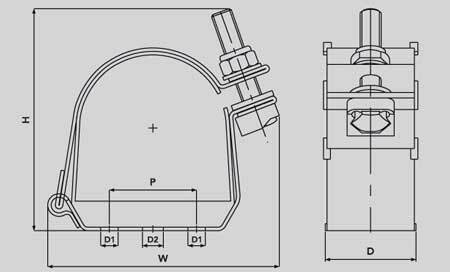 Ellis Patents Emperor ES cable cleats are suitable for single way or multi-core cable cleating. Ellis Patents Emperor ER trefoil cable cleats are used to cleat single core cables in trefoil formation to cable containment. Ellis Patents Emperor stainless steel cable cleats provide reliable high short-circuit withstand and are in widespread service on 132kV cable networks and National Grid sites. The unique Emperor cable cleat patented design allows rapid installation. Manufactured in type 316 stainless steel the Emperor cleats offer ultimate protection against the harshest environmental conditions. To protect and cushion the cables during short circuit conditions, the Emperor cleat is supplied with an integral LSF Zero Halogen Polymeric liner and base pad. Recommended cable cleat fixing methods include using either two 10mm bolts or a single 12mm bolt. The Emperor cleat is a high specification cable cleat for highest short-circuit withstand performance when clamping, retaining and cleating low and high voltage cable powers, including LV, 6.6kV, 11kV, 33kV and Triplex cables. Emperor cable cleats are used as trefoil cable cleats (ES) for installing single-core cables in trefoil formation, installing single-way cables (ES) and multi-core power cables. Manufactured from 316 grade stainless steel for cleating cables in the marine, offshore, oil, gas and petrochemical industry. The frame is tightened and locked using a combination of M12 set screw, nyloc nut and washer in A4 stainless steel , screw head retainer in 'Zero-Halogen, Low Smoke & Fume' (LSF) Nylon. LSF zero halogen protection liners are included within the standard cable cleat - Emperor cleats accept up to 128mm in trefoil cable formation and up to 150mm in single way cable formation. Stainless steel Emperor cable cleats are compliant with London Underground Engineering Standard 1-085 Product Register No.362. JDR Cable Systems has specified Emperor cable cleats from Ellis Patents for use on the London Array Offshore Wind Farm. 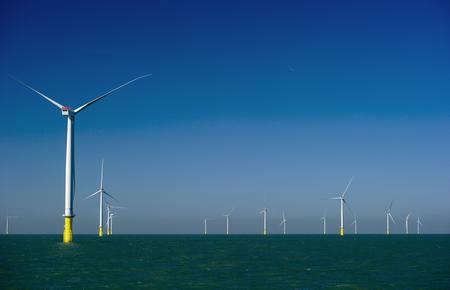 The wind farm is currently being built 20km off the Kent and Essex coast in the outer Thames Estuary. Phase one of the project features 175 turbines, two offshore substations and four underwater export cables and is due for completion by the end of 2012. Ellis Patents Emperor cleats are sold with full and proper third party short circuit certification that demonstrates that the specified products meet the requirements of the project. “For a cable cleat to do the job it is specified for it has to be able to withstand the peak short circuit force generated by the cables in that specific installation,” continued Nolan. 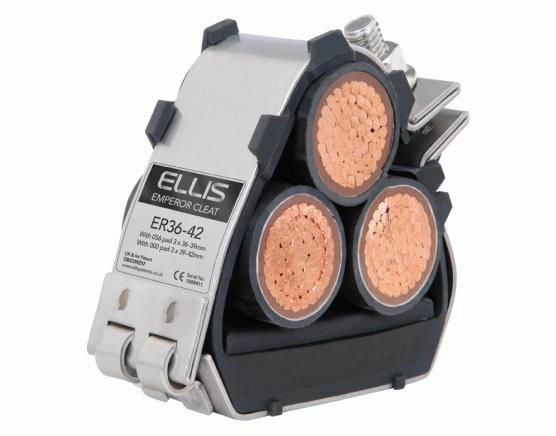 Video : Ellis Patents Emperor Cable Cleats, Short-Circuit Test. This video clip demonstrates the short-circuit withstand capability of Ellis Patents Emperor Trefoil Cleats. 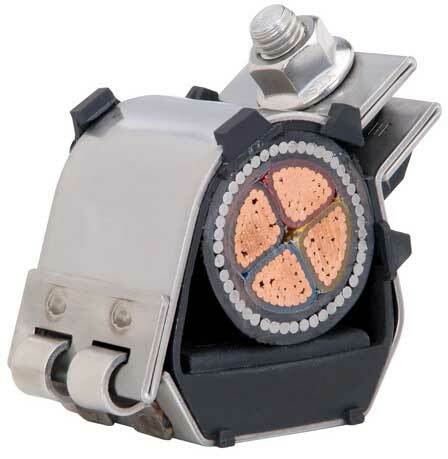 A short-circuit of 59kA RMS (118kA peak) is subject to the three-phase cable arrangement for a period of 0.1 seconds, showing the power cables being forced apart by the physical forces present under such fault conditions and demonstrating the need for correctly specified cable cleats. IEC Standard 61914 : Cable Cleats & Short-Circuit Calculations.